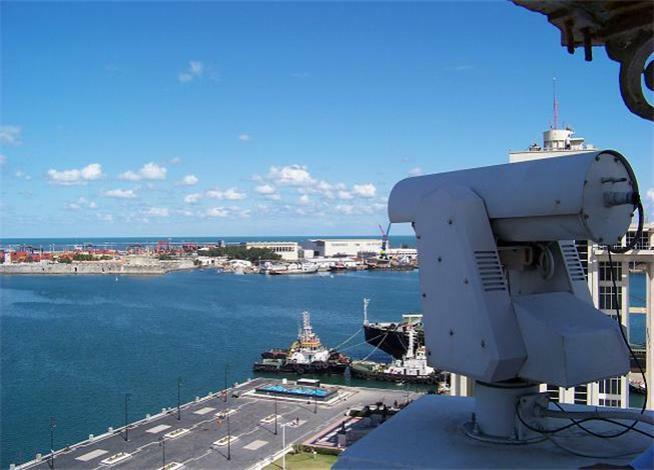 United Vision Security System (UVSS) is your source for the longest camera distance from 1 to 25 km, models to accommodate most of the CCTV requirements for border, ports, rigs, and cities. EV3000-D-IR long range pan tilt PTZ surveillance Flir, thermal imaging camera with HD telephoto zoom IR day/night vision imager. 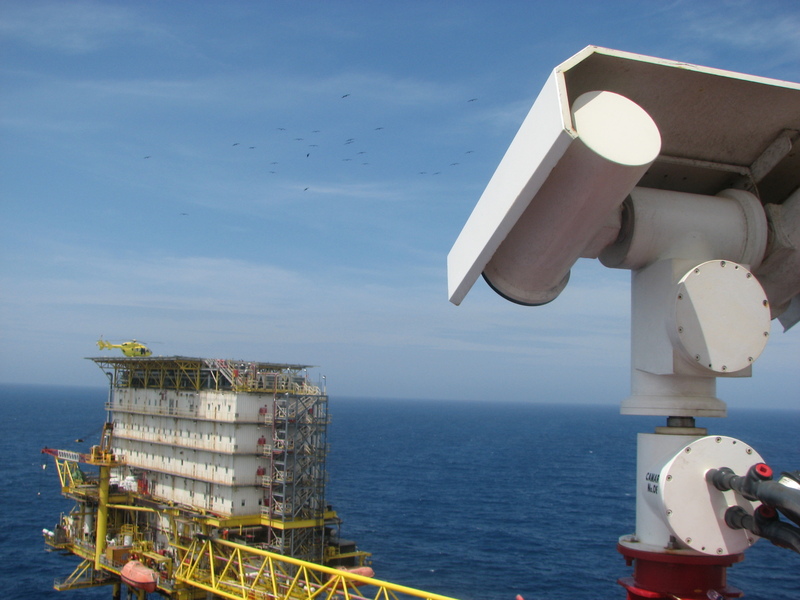 Security Surveillance Camera System for Harbor, Ports, Offshore, Marine, Navy, City surveillance, border, and more. The EV3000 is a long-range day/night vision thermal /CCTV Visible surveillance camera with a heavy duty multi-sensor imaging platform for hostile environments. It combines a high-resolution thermal Imager with ultra long range zoom CCTV camera for a truly complete 24/7/365 imaging system. The EV3000 Multi-sensor pan tilt zoom (PTZ) Thermal imaging system is versatile, easy to install and operate. This EV3000 Long range thermal Imager can withstand any weather, comes with wiper blades to take care of rain & handles any surveillance situation you can throw at it! Call us for Custom configuration options! Long range IR color PTZ Thermal camera offshore tower Camera day color night Gen III Night Vision EMCCD surveillance. Image transmission systems and integrated vehicle systems for military, police, emergency services and intelligence applications. We also specialize in Border surveillance incorporating thermal imagers, cameras and real time links. Prisons Courthouses Banks / Mints Airports / Ports Munitions Plants Police Law Enforcement-camera system. 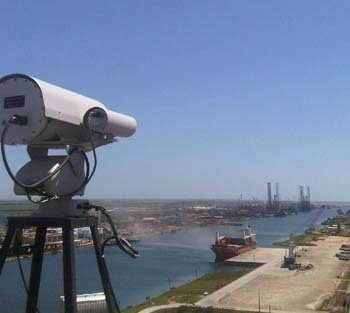 The Solution for Border Port Marine and Any application required Rugged Long Range Camera system Long Range Camera IP PTZ EV3000 PTZ Thermal Surveillance Images. Some United Vision Security System products in part or whole are strictly regulated by the US Department of State in accordance with the guidelines in the International Traffic in Arms (ITAR) per title 22, Code of Federal Regulations (CFR), Parts 120-130 and/or the United States Bureau of Industry and Security US Department of Commerce. All sales and shipping are subject to license approval by the respective governing agency. End-User certificates must be supplied. Users must comply with all local, state and federal laws.